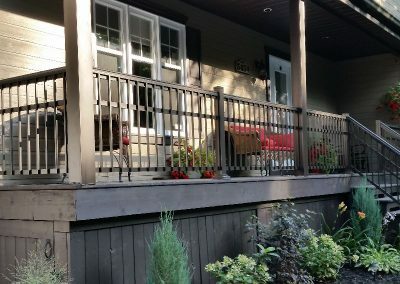 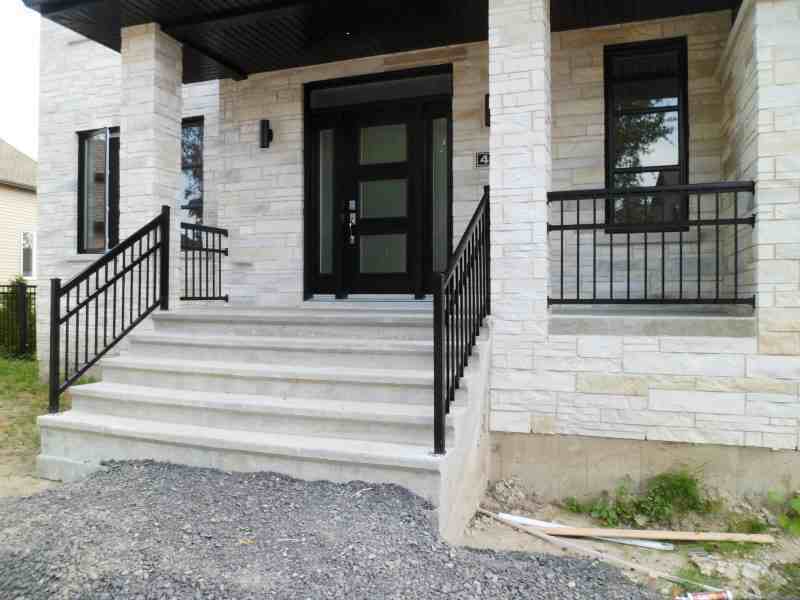 Aluminium Railing for balcony | Clôtures Frontenac Inc. Aluminium Railing for balcony | Clôtures Frontenac Inc.
To beautify and secure your home. 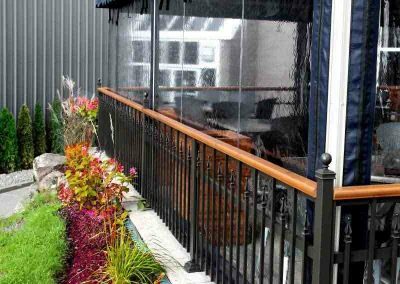 We are proud to introduce our 4 models of ornamental aluminium style railing. 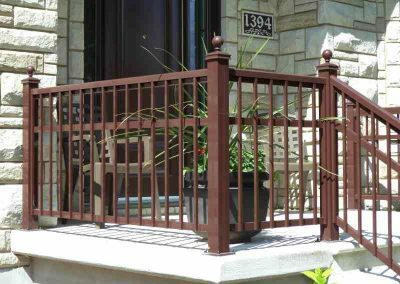 They will match perfectly with the colors and style of your home. 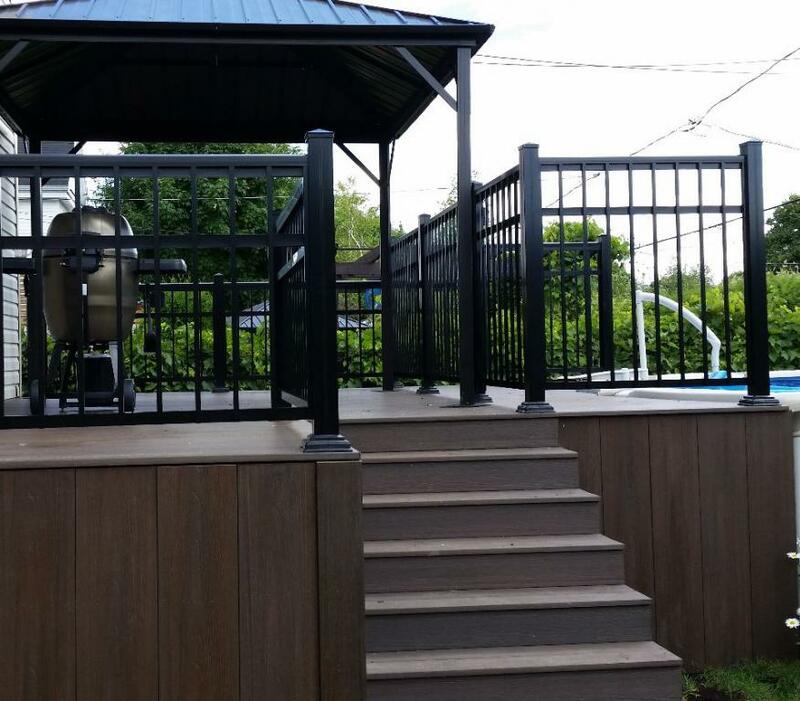 Optional: Installation service, decorative ornaments, privacy panels. 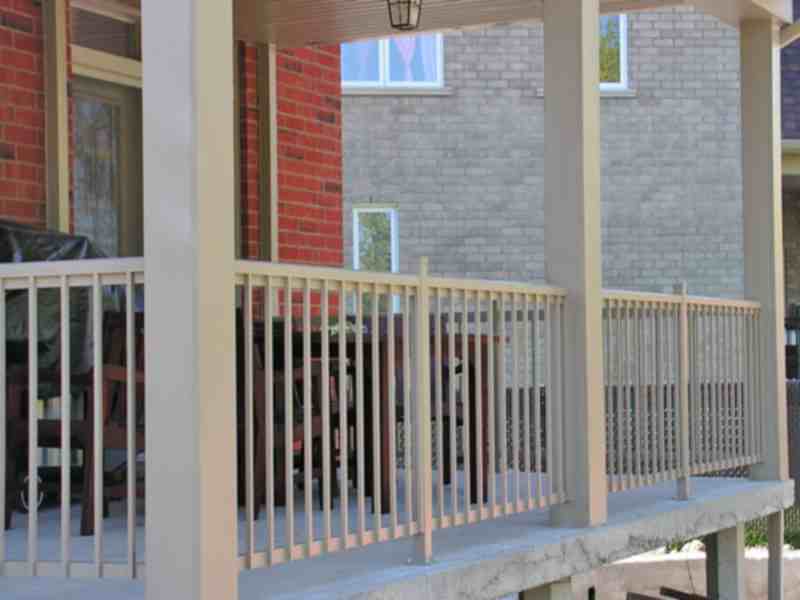 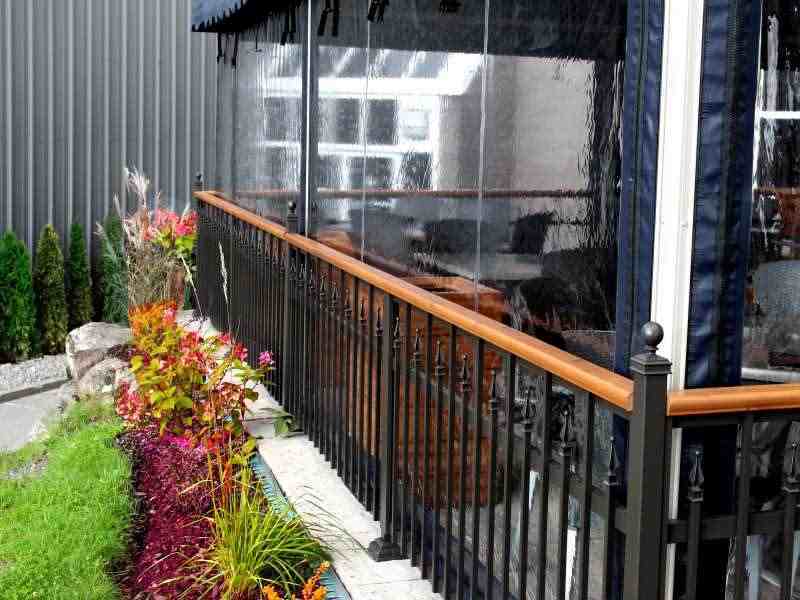 The aluminium railing is designed to increase the safety and beauty of the balcony. 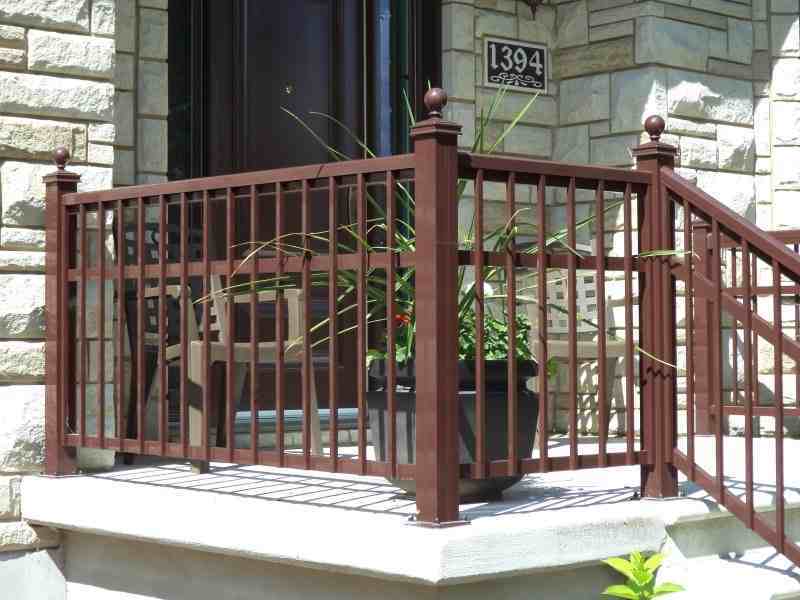 Durable and maintenance free, it will secure the balcony of your property. It will undoubtedly beautify your home with charm and elegance. 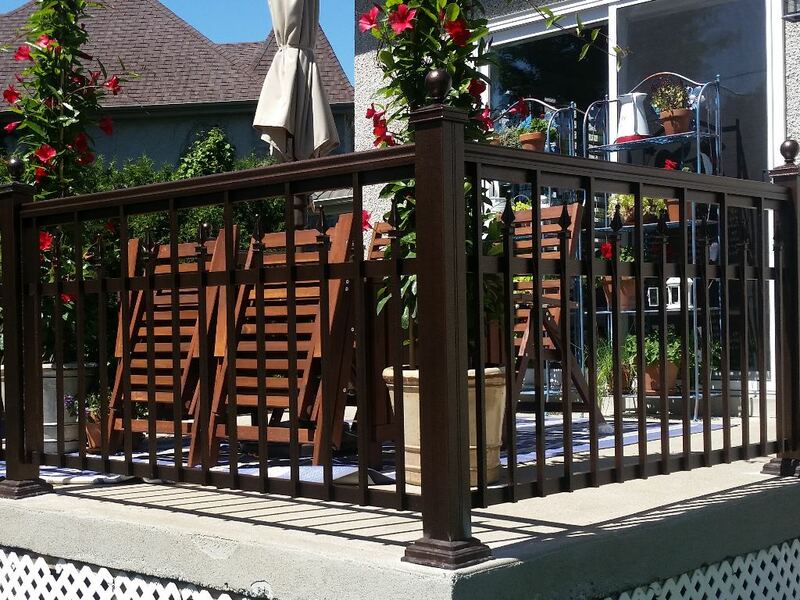 Light and strong, it will resists the harsh Canadian winters. 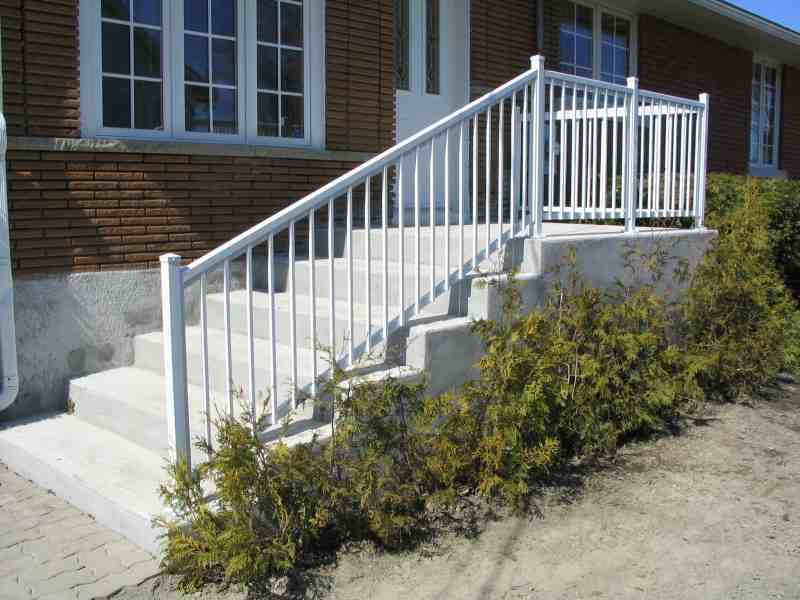 In Canada the aluminium is probably the choice to make and many have already chosen it. 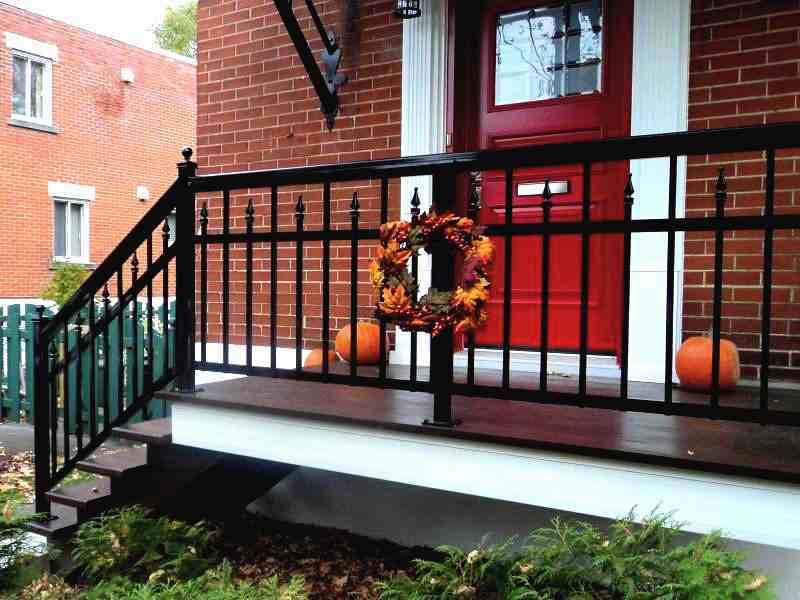 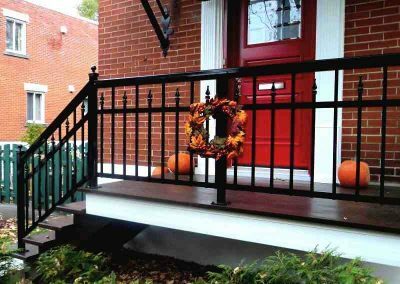 The aluminium railing comes in several models and colors that will convince you. 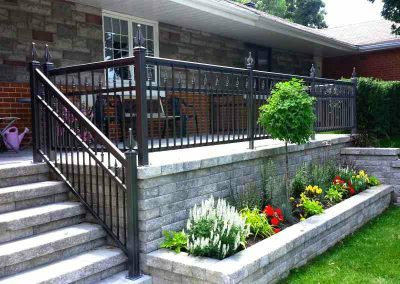 It can be customized or in sections to suit your needs and budget. 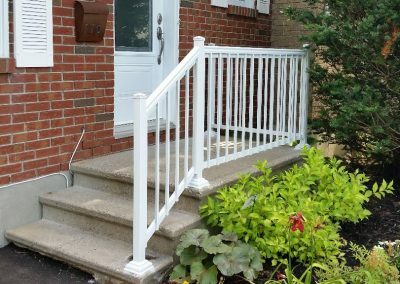 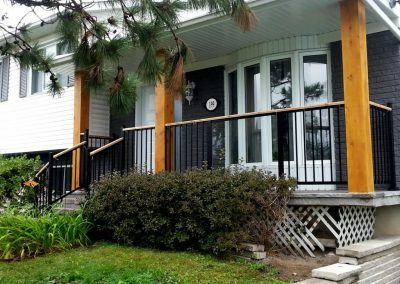 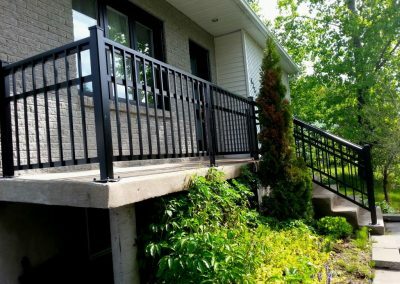 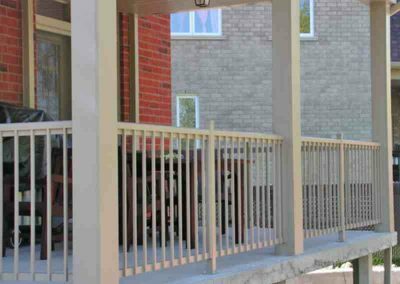 At Clôtures Frontenac you can have a non-standard railing manufactured in a very respectable delay and it will be up to your expectations. 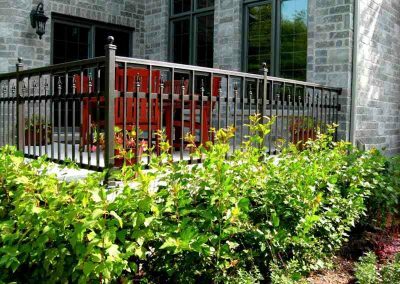 The aluminium railing will be number one choice for terraces (patio) and balcony. 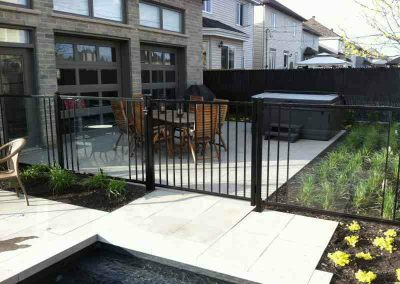 Secure and elegant it will surround your terrace with style. 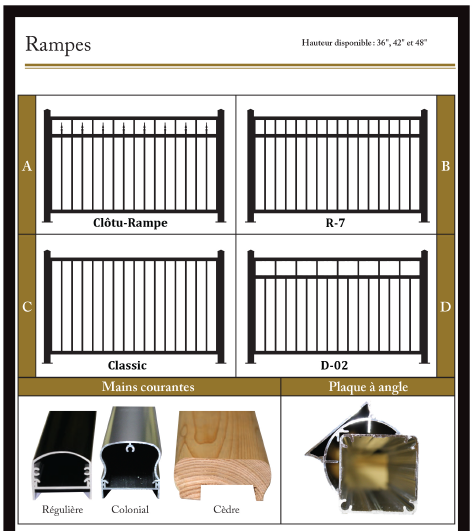 Come and see our new models, you will be charmed. 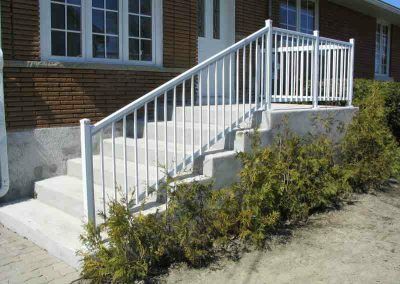 To save on your budget, do not hesitate to do it yourself. 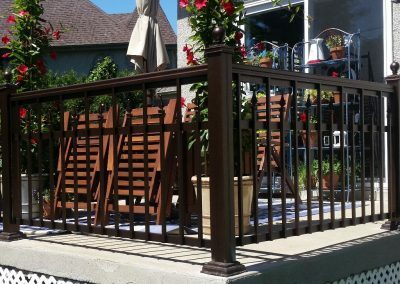 Our specialists will guide you throughout your project, so that you can install it. 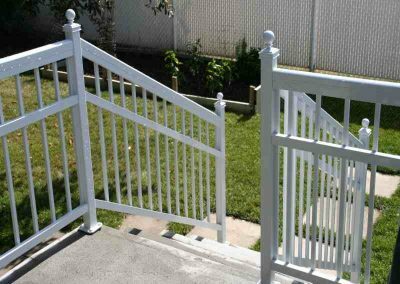 The railing sections are already assembled, no more than a few cuts, you install the posts and screw the sections. 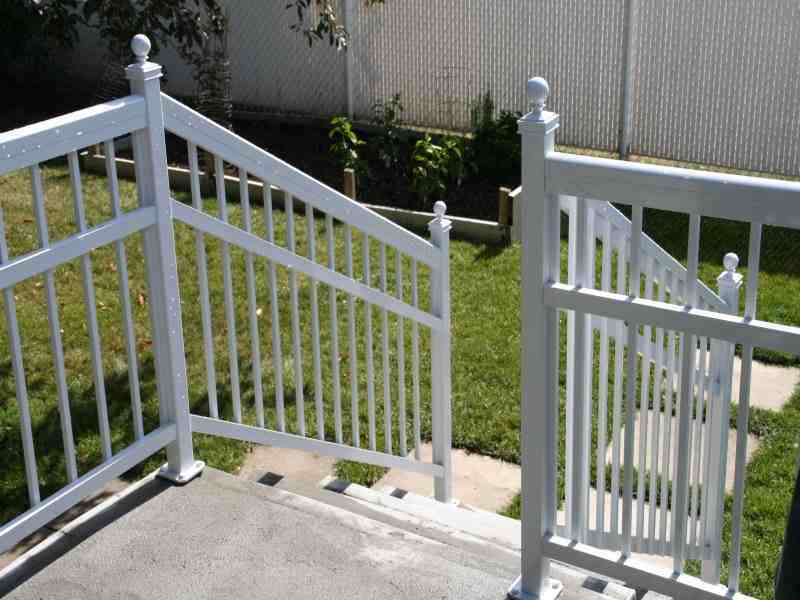 Repair and installation service available 9 months per year. 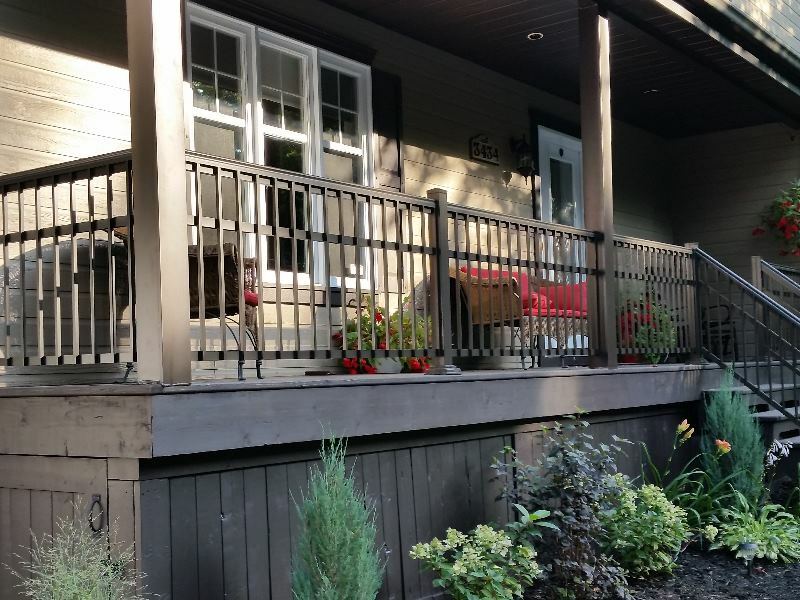 Fast delay and after- sales service second to none. 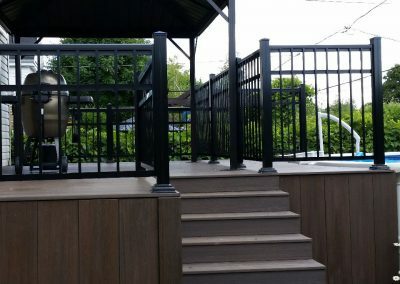 We have at heart our customer service. 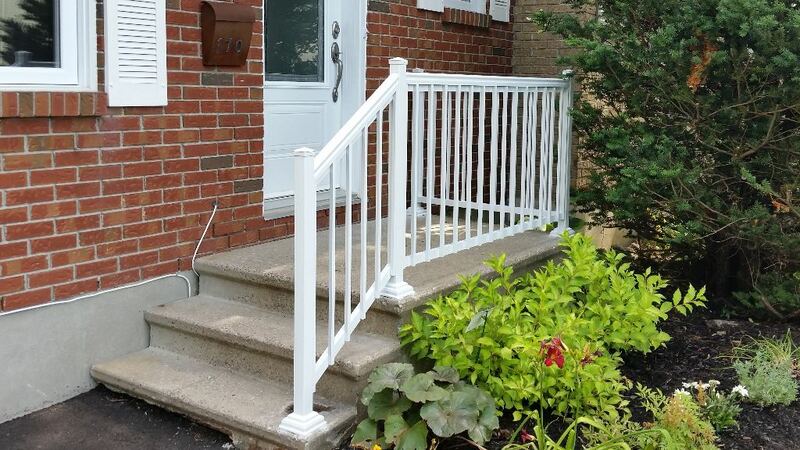 Our installation are guarantee and done by professionals in the field! 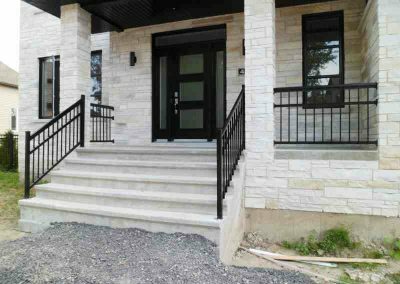 Small, medium or large project, are all respected and fulfilled with exceptional service. 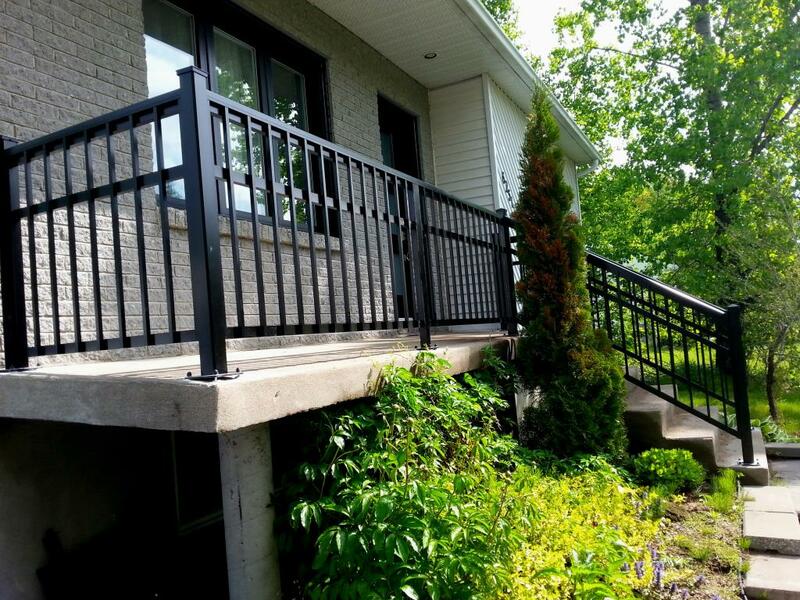 Feel free to visit our “Get a quote” page, to receive a budget price according to tour needs, or simply come and meet us in one of our showroom in Terrebonne or Gatineau.